Moving to Nashville to pursue your music on a professional level can be scary. There’s a lot of talented artists on a similar pursuit and it’s easy to become disheartened. Being famous in a small town is cake, but what about when you get to the major leagues? Investing your time in pursuing music in Nashville can be tricky. Here are some things to know before moving to the city that can help the new transition. From the outside looking in, Nashville seems like the Los Angeles of the south. It can be intimidating knowing that other musicians have come to Music City to make their dreams come true, just like you have. Despite common belief, Nashville has a small town feeling with great community support. There are plenty of people willing to lend a helping hand and connect you with people who can assist in your music endeavors. There are also a ton of different venues throughout the city that you can meet with in order to begin playing shows and getting your name and music out there. East Nashville is a great place to get started. This part of town also has strong community and awesome venues. With a little determination, you’ll be able to meet other artists and start getting involved in writer’s rounds. Connecting with other musicians can open the door for co-writing opportunities and might even lead to an awesome hit. It’s important to be patient in this process, however. Keep in mind there are a lot of talented musicians who’ve lived in Nashville for longer and have a similar goal. Because of the amount of talented people pursuing music in Nashville, it is important to stay humble throughout your journey. “Making it” will take a lot of hard work, but will be incredibly worth it if you do. Don’t be too good for sacrifice in order to make your dream reality. Be kind to everyone you meet, because you never know where the connection will take you. Continue to be yourself, because staying genuine is what will stand out. Don’t be afraid of the transition to Nashville. Although it can be challenging to get your career where you want it, the possibilities are also endless. Do your research, be patient and don’t get too hurt when things don’t work out the way you expected. Music City is an incredible place to enhance your career, if you’re courageous and dedicated and you’ll be just fine. 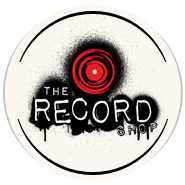 Be sure to reach out to us at The Record Shop for any recording services or social media strategies you may need to get the ball rolling. We’re here to help!